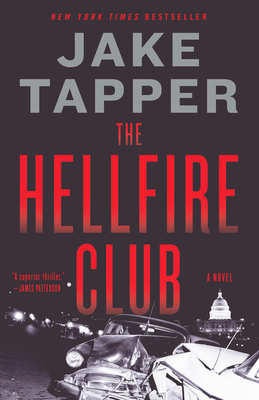 A young Congressman stumbles on the powerful political underworld of 1950's D.C. in this "potent thriller" (David Baldacci) and New York Times bestseller from CNN correspondent Jake Tapper. Charlie Marder is an unlikely Congressman. Thrust into office by his family ties after his predecessor died mysteriously, Charlie is struggling to navigate the dangerous waters of 1950s Washington, DC, alongside his young wife Margaret, a zoologist with ambitions of her own. Amid the swirl of glamorous and powerful political leaders and deal makers, a mysterious fatal car accident thrusts Charlie and Margaret into an underworld of backroom deals, secret societies, and a plot that could change the course of history. When Charlie discovers a conspiracy that reaches the highest levels of governance, he has to fight not only for his principles and his newfound political career...but for his life. CNN anchor and Chief Washington Correspondent Jake Tapper joined the network in January 2013. The Lead with Jake Tapper, his one-hour weekday program, debuted in March 2013. Tapper was named host of the network's Sunday morning show, State of the Union, in June 2015. Tapper has been a widely respected reporter in the nation's capital for more than 14 years. His most recent book, The Outpost: An Untold Story of American Valor, debuted in the top 10 on the New York Times bestseller list.